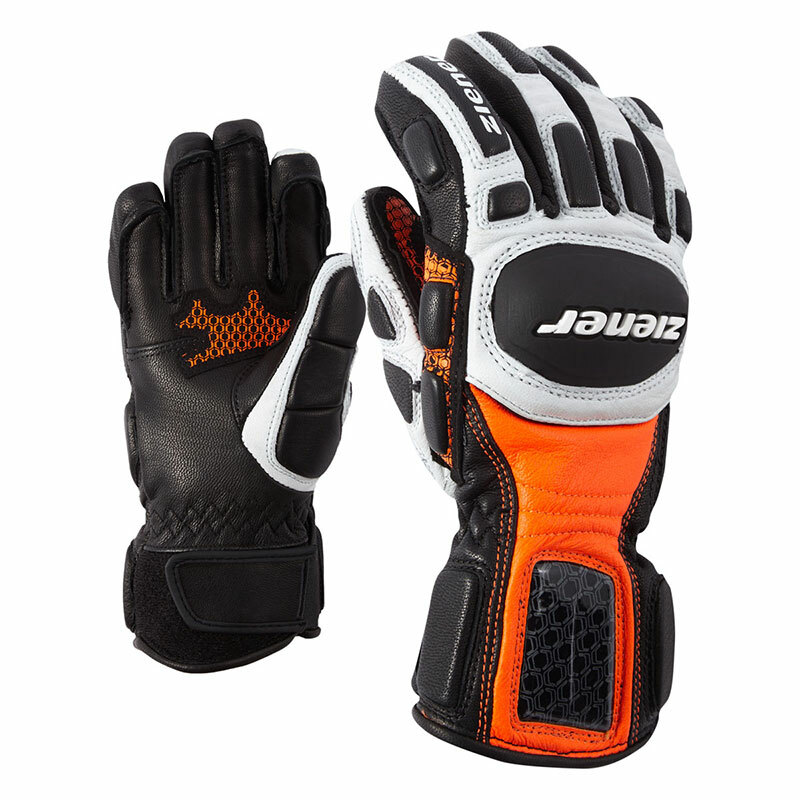 The sporty, warm ski gloves GISOR AS® are made of high-quality kid leather for the racing-oriented skier. 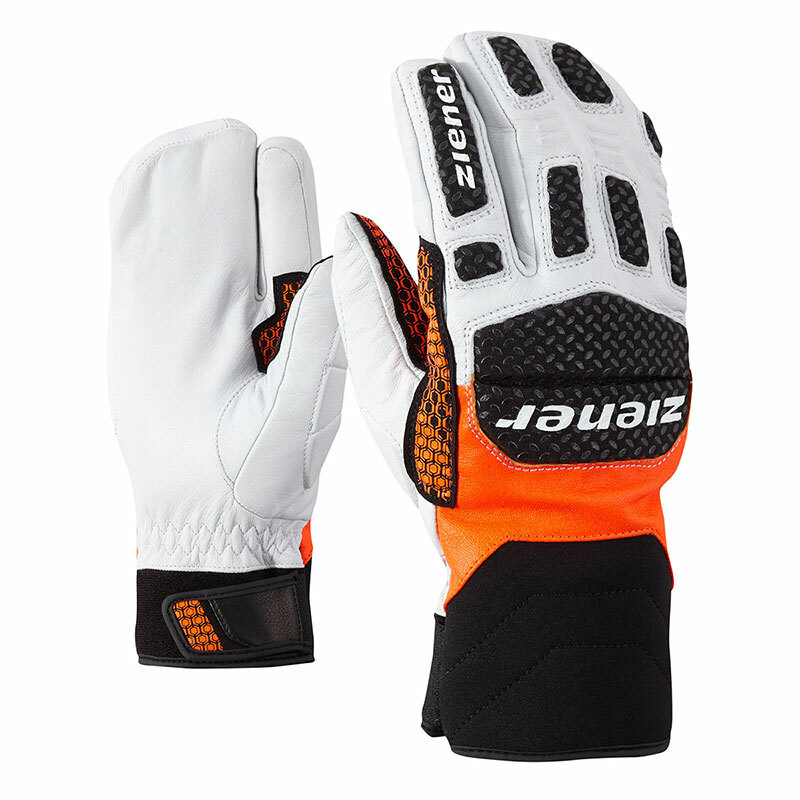 Equipped with GRIP FIT technology, they ensure perfect tactility and a secure grip on the ski pole. 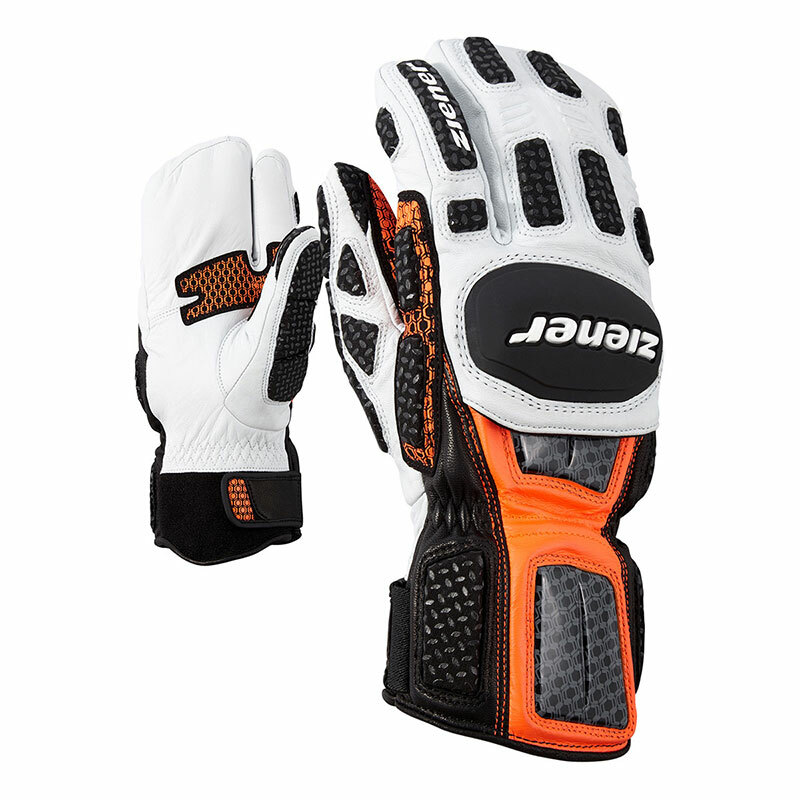 To cushion contact with snow or rods, the knuckles are provided with extra padding. 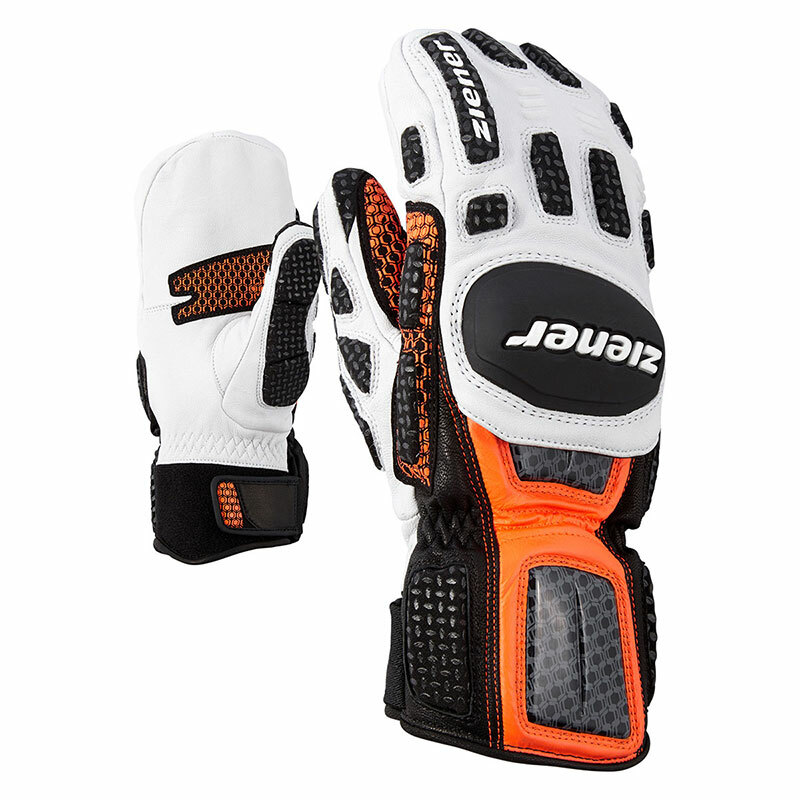 The printed reinforcement on the palms provides extra grip. 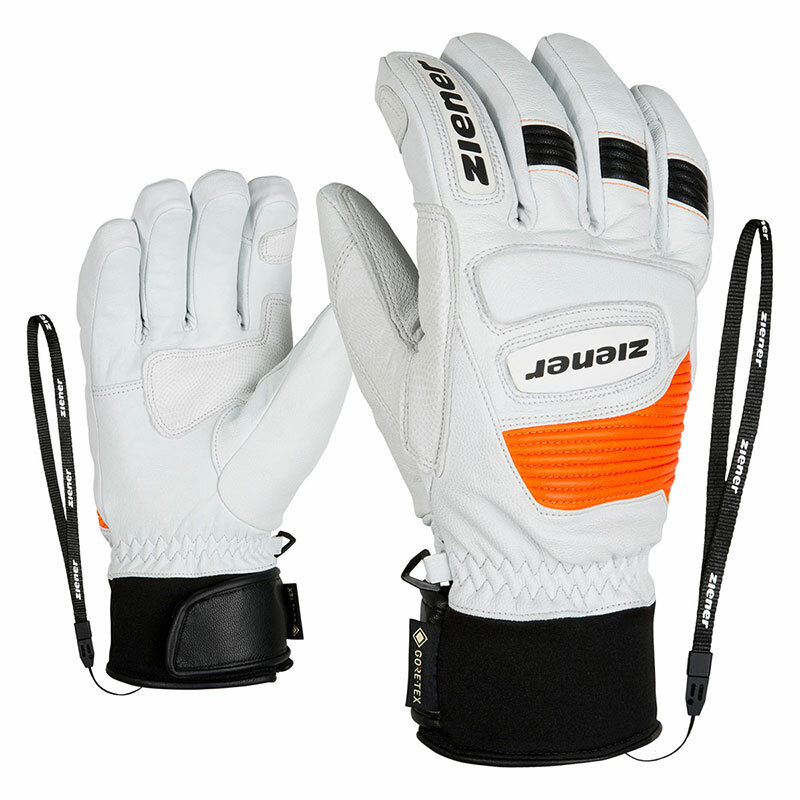 The snug-fitting neoprene cuffs provide a good fit on the wrists and allow the gloves to be worn comfortably under sleeves. 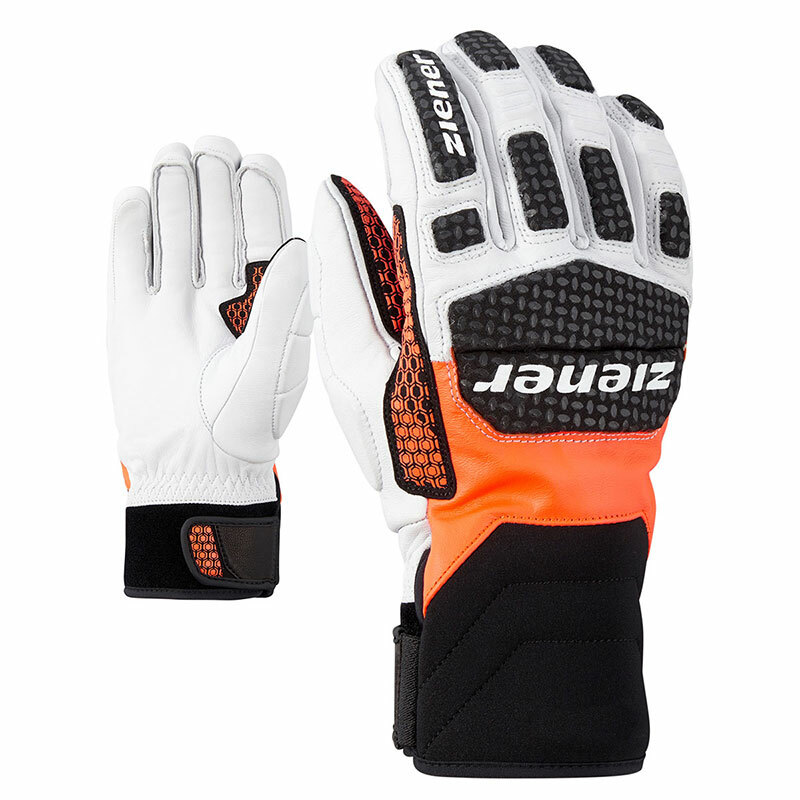 The ZIENER AQUASHIELD® membrane with its water- and windproof properties ensures an optimal climate inside the gloves. Contain non-textile parts of animal origin.